A stroll along the beach, fish and chips, boutique shopping in the Lanes and a quirky medieval all just an hour from London. What's not to like about Brighton? 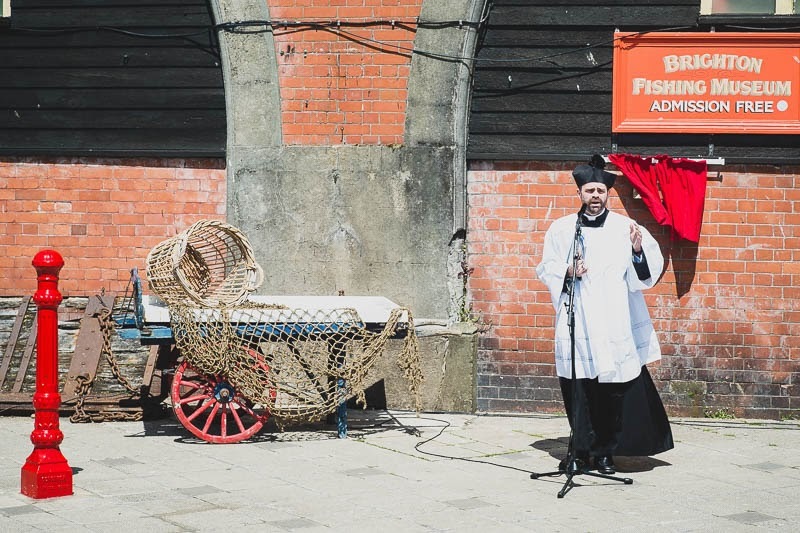 For more than 700 years fishing was the main industry of Brighton with Herring and Mackerel being the biggest catches. Land in the area was used to grow hemp to make ropes and flax to make sails for the fishing boats. Although fishing has steadily declined, a fleet of more than 10,000 boats is now just a mere handful, more are to be found in the museum than on the water. However the traditional festivals are very much alive. The annual Mackerel Fayre and the "blessing of the nets" took place last Sunday. In the past this blessing ensured the coffers of the church were kept healthy, but as the industry declined so did the payments. Now days it is a charming festival and a reminder of the past. I've always wanted to visit Brighton! I'm a big fan of traditions Mo, I see the museum has no entry fee, maybe a gold coin donation would raise some useful funds! I do love these old traditions. I enjoyed my short visit to Brighton when I was there last year in spite of the fact that I didn't get my shot of the Royal Pavilion that I wanted. There was some kind of huge tent facility in front of it blocking the view. It's a good tradition to hold onto.